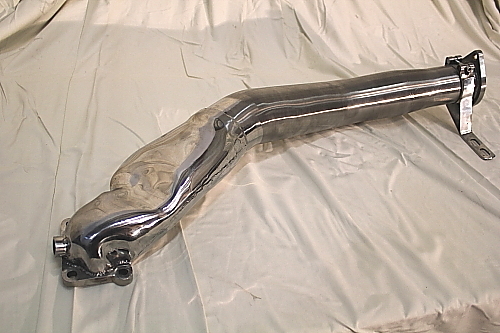 This header pipe will suit any FD from Series 6 to Series 8. Engine will not over boost and is still easily controlled. The header pipe allows your engine whether stock of modified to breathe much easier, increasing your power at the back wheels. The amount of power increase will depend on modifications made to the engine, intake system, and remainder of exhaust. I thoroughly recommend these headers be used when upgrading your exhaust system with our Rotaflo Exhaust Products.